Nvidia has announced its latest entry in the professional-grade Quadro graphics card family, and it's a beast: the Quadro M6000 24GB. 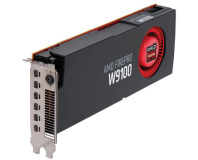 Based on the same hardware as the company's existing Quadro M6000 design - meaning a single Maxwell 2 family GM200 graphics processor with 3,072 CUDA cores, a 384-bit memory interface, 250W thermal design profile (TDP) and single-precision floating point performance of up to 7 teraflops - anyone looking for external differences will find themselves struggling. The new Quadro M6000 still includes four DisplayPort outputs alongside a single DVI, no HDMI, and Nvidia's reference-design centrifugal blower cooling system. A look at the specification, though, shows why it's new: the memory has been doubled from 12GB to 24GB, the highest ever available on a single-GPU graphics card. 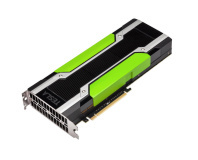 Designed for professional users working with extremely large datasets, Nvidia's new card is causing a stir in the industry. The company has trotted out a range of talking-heads to tell how a doubling of the graphics RAM is going to change how they work, from Nissan Motor Company using memory-intensive global illumination to track down design flaws in its vehicles to Sony Pictures Imageworks boasting of a ten-fold performance boost when rendering complex scenes. 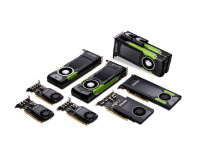 Interestingly, while the new card doubles the GDDR5 memory from the existing Quadro M6000 design it does not come with a price increase: Nvidia has instead chosen to replace the existing M6000 outright, which will no longer be produced, and launch the M6000 24GB at the same price as its predecessor - bad news for anyone who has already picked up the 12GB model, but good news for those who have not yet taken the plunge. More information is available from the official datasheet (PDF warning).